Belle. . HD Wallpaper and background images in the princesas de disney club tagged: princess pictures belle. I don't like Bell! What? Just givin' my opinion! my fav princess belle she is so beautiful. I love Belle,too. I love this picture of her. i love Belle.beauty and the beast is the among best disney movies!!!!!! She's my hero. I've always wanted to be just like her. she's so much deeper than Ariel or Jasmine. *crunch* Sorry if I stepped on some toes there. It's true. Deal with it. 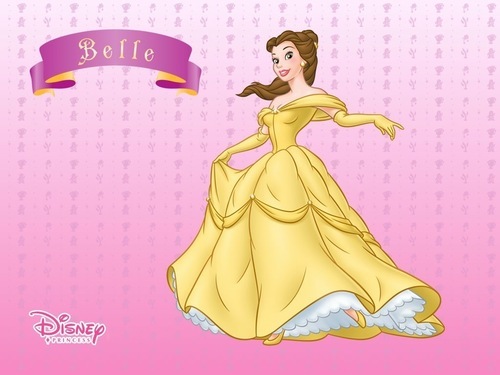 Belle is my favorite...she is pretty,smart,intelligent,adventurous and the best part is she know how to see the beauty in everything..
and I also love reading all kinds of books. and I love the captive rose. sorry if some words are not good because my language is Spanish.